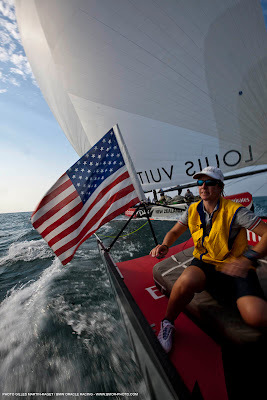 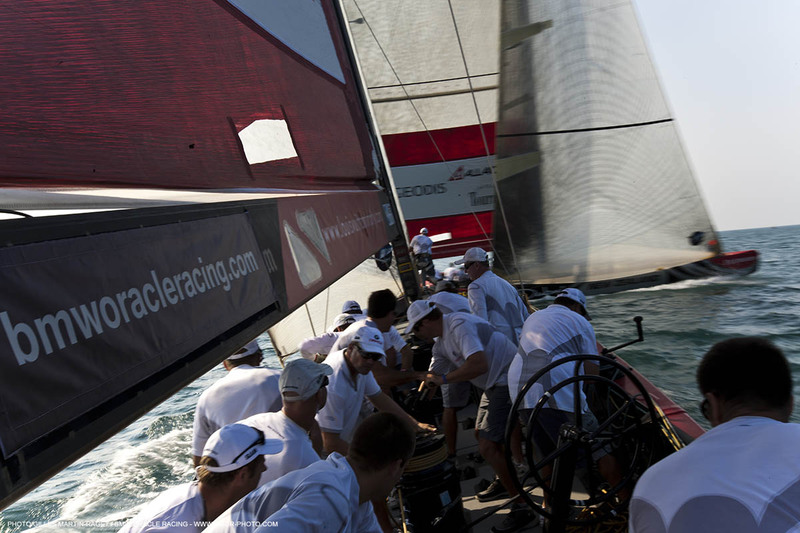 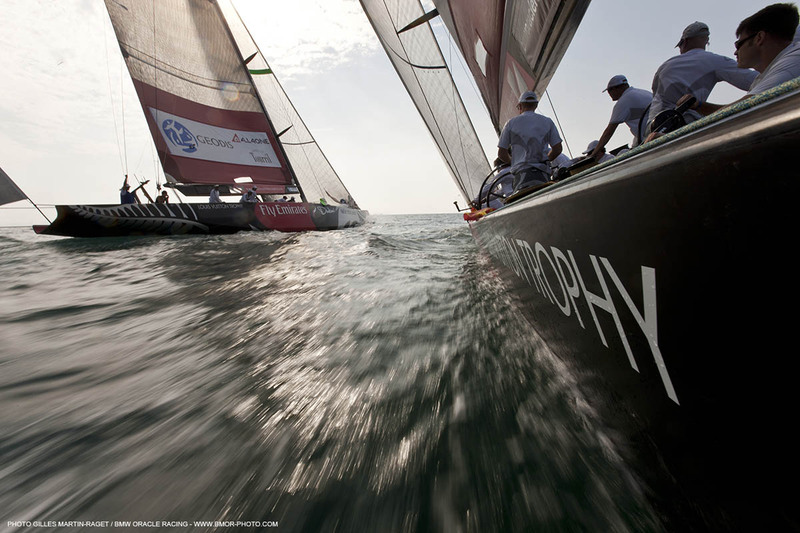 Racing in the Louis Vuitton Trophy starts on Sunday. Full streaming coverage is available on the official event website, www.louisvuittontrophy.com. 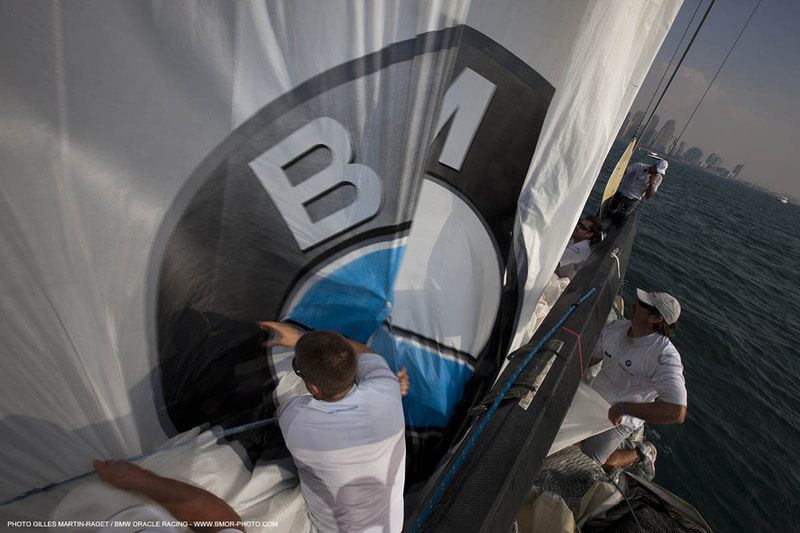 Racing will not start before noon local time in Dubai (GMT+4). Today, the team was out for its final training session, this time on the NZL boats, with team photographer Gilles Martin-Raget on board. 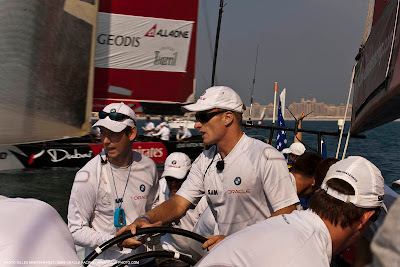 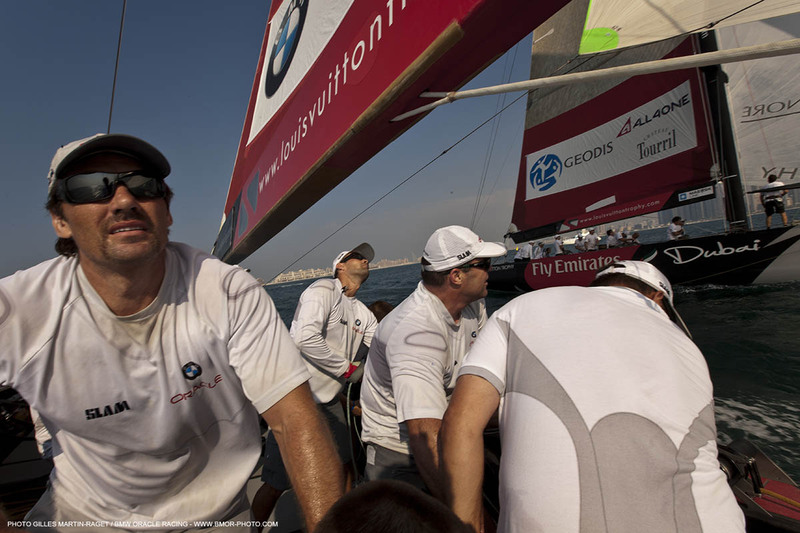 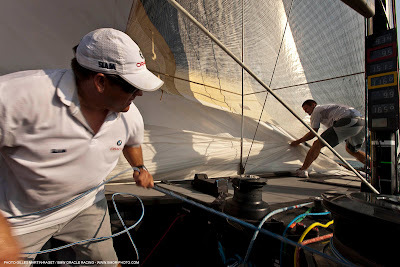 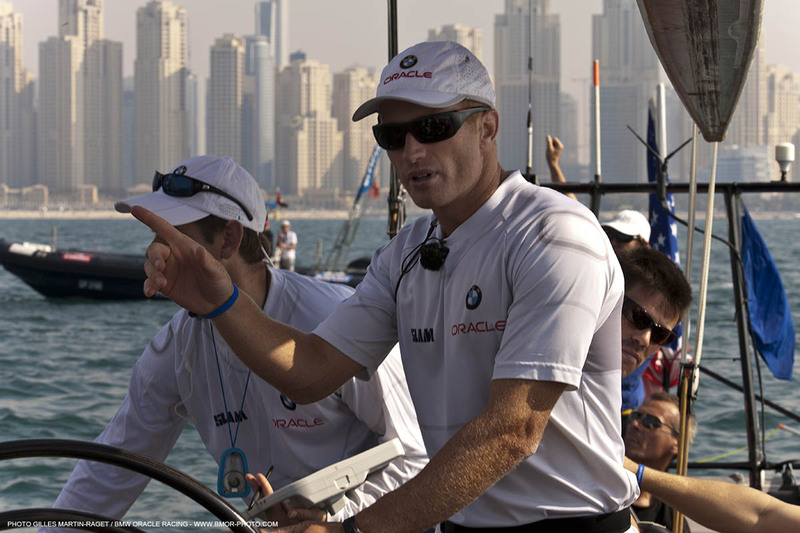 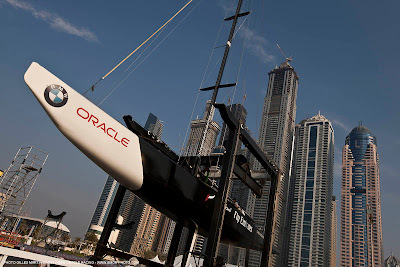 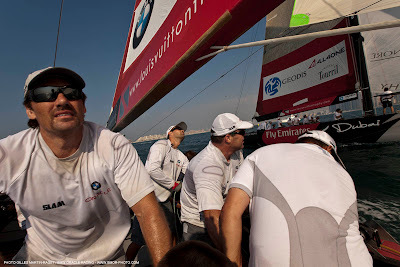 The first matches for BMW ORACLE Racing are against the All4One team, in the third and fourth flights, so likely not before about 1500 local time.